The first episode of the new year has already gone a long way. Punchmix number 31 comes from Brazil and brings some warmth from South America. Responsible for this is the DJ and producer Duoscience, who has already released several releases on Celsius, Fokuz and Soul Deep Records. His latest release is the EP "Graduation" which has been released on his own Label Diskool in the middle of January. 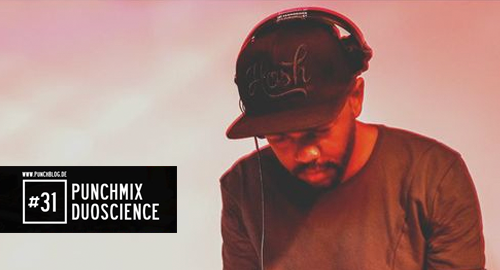 The São Paulo-based artist is known for laid-back Liquid Drum & Bass. The focus is on jazz and soul samples supported by classic drums. His songs are influenced by Fender Rhodes and piano inlays. A little insight into his discography gives us his punch mix. The 35-minute set moves through almost every subset of liquid drum & bass. Variety is taken care of. The collaboration with TBase has also found a place in the set.